In the City of Menifee and all of southwestern Riverside County, All Counties Fence and Supply is the proven choice for fencing, outdoor services and all related materials. Whether you’re looking for comprehensive installation assistance or a reliable source of supplies, you’ll find our expert staff on hand to help. And every day, we make sure that experience and professionalism come at a price that fits your personal or business budget. Wood Fences – In residential and commercial settings, wood is a highly popular fencing option. Reasons for this popularity range from an abundance of appealing stylistic options to the usefulness of wood fences as privacy screens. And contrary to what some people believe, options in this category hold up well with fairly limited maintenance. At All Counties, we offer and install the region’s best selection of redwood and cedar fencing. We round out your options with Rightwood, an increasingly adopted composite material. Our customers count on us for budget-friendly, direct-mill pricing. 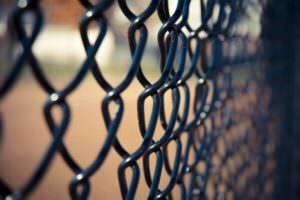 Chain Link Fences – Versatility is one of the primary selling points of chain link fencing. To that you can add low cost, durability and perhaps the least intensive maintenance requirements of any fencing material. Together, these qualities help account for the ongoing use of chain link in a diverse range of private, commercial and sports-oriented applications. The presence of fire-rated glass in our inventory of these products ups the durability factor even further. We treat chain link replacements and from-scratch installations with the same high level of skill and efficiency. 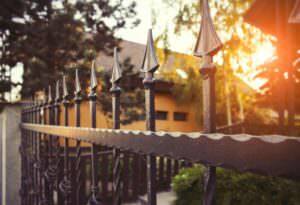 Iron Fences – Some homeowners and business owners shy away from iron fencing due to its relatively high installation cost. However, this can be a miscalculation, since fences in this category often repay much of that cost through their lack of frequent need for maintenance and replacement. Not to mention, no other fencing product can outdo iron for its combination of elegance, security enhancement and preservation of lines of sight. All Counties’ inventory of “iron” products is composed entirely of galvanized steel. Substitution of steel for iron leads to considerable benefits for long-term stability and durability. It also provides an improved platform for the application of primer and various forms of powder-coating and paint. Vinyl Fences – Vinyl fences once lagged behind other fencing products in terms of their structural quality, selection of styles and general aesthetics. However, manufacturing standards for these products have changed tremendously in the 21st century. Today, a well-made vinyl fence can provide all the advantages associated with fences made from other materials. In addition, use of vinyl can reduce your purchase and installation costs considerably. We make these fences even more attractive by offering products from Ply Gem, one of the foremost manufacturers in the industry. Specialty Fences – Some specialty fences earn their name because they’re designed for use in unique residential or commercial settings. (Popular examples here include cable fences and fences made from glass panels.) 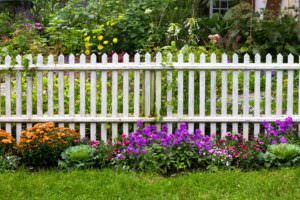 Other fences fall into this category because they’re designed for use in special applications (including the creation of wood or metal enclosures for cropland and large animals). All Counties carries and installs the full spectrum of specialty products. Every item in our inventory meets our unrelenting standards for quality. Landscaping – Outdoor modification projects that involve the use of shrubs, flowers and other organic materials fall under the general umbrella of landscaping. We’re experts at all phases of these types of projects. This means that we take care of the behind-the-scenes work on drainage and water systems, as well as the installation of your primary landscaping elements. It also means we offer time-tested planning help and advice on how to maintain your outdoor investment. Hardscaping – Outdoor projects that involve the use of hardened and mostly non-living materials fall under the umbrella of hardscaping. This diverse category includes things such as decks and patios, pergolas and gazebos, and walkways and driveways. It also includes artificial streams, fountains and other water features, as well as a range of accessories used to bring hardscaping projects to full completion. At All Counties, our expertise in this area equals our expertise with landscaping projects. We can carry out any size or type of undertaking you have in mind. Wall Construction – With its heavy reliance on hardened, non-living materials, wall construction is perhaps the quintessential form of hardscaping. However, we count it as a separate category due to the premium it places on expertise and experience. Whether your project is intended to provide privacy, shore up unstable soil or mark a property boundary, our staff of highly qualified professionals will complete the job with your choice of masonry, stone or concrete. 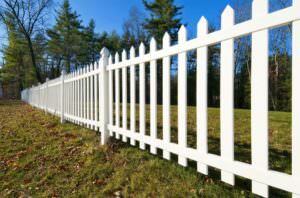 All Counties Fence and Supply is Riverside County’s proven leader for outdoor services and fencing installation. However, we understand that not everyone who comes through our doors needs this kind of hands-on help. In fact, do-it-yourselfers and professionals make up a significant percentage of our clientele. 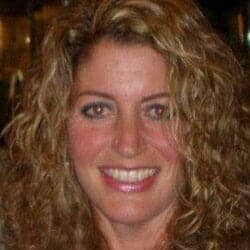 We support these individuals with a complete inventory of fencing and outdoor supplies. Virtually everything we install is available for separate purchase. Menifee is a community of roughly 89,000 located southeast of the City of Riverside in Riverside County. Municipal incorporation only occurred in 2008, and the city’s borders include all or part of previously unincorporated Quail Valley, Romoland, Sun City and Paloma Valley. Partly due to its young age, Menifee relies on the county government for many of its vital services. Geographically, the community lies nearly equal distances from Orange County and the cities of San Diego and Los Angeles. All Counties Fence and Supply is based north of Menifee in Riverside. Since the 1970s, we’ve provided communities throughout our region with the most affordable, dependable selection of fencing installation services, outdoor contracting services and fencing and outdoor supplies. No matter the project on your upcoming agenda, we’re your reliable, time-tested resource. Call us today or pay a visit to our well-appointed demonstration showroom.